The currently main global Games ‒ Olympics ‒ were invented about 3,000 years ago. 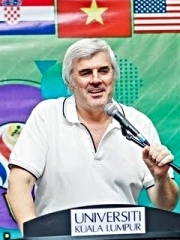 They showcase physical brilliance of the participating athletes. Olympics were invented to celebrate physically strong warriors, the main players in the ancient wars. Today, the value of the Olympics for the global audience is primarily emotional. Innompic Games deliver much greater value. 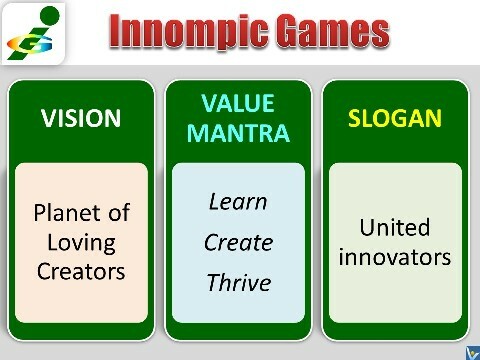 The greatest value of Innompic Games is that they bring together like-minded persons in an environment that encourages and facilitates the cross-pollination of ideas in the spirit of love. 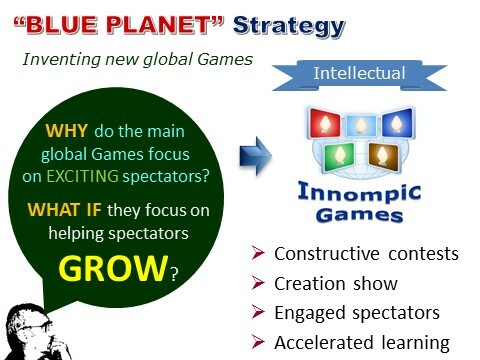 Innompic Games help meet ‒ creatively! ‒ 7 big global challenges. >>> Innompics inspire and help people grow as Loving Creators and World Changers. 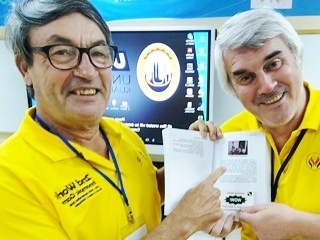 Innompic also help innovators conquer diverse enemies of positive change. Global all-inclusive innovation accelerator for the modern globalized economy. Innopmpics are about constructive competition. They help both participants and spectators stretch themselves and learn how to create new great things. Innompic Games are not narrowly focused. 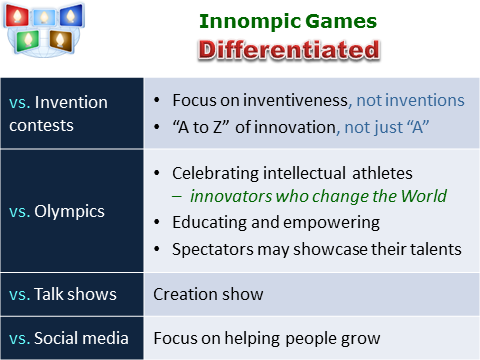 Innompics create holistic value and are all-inclusive.